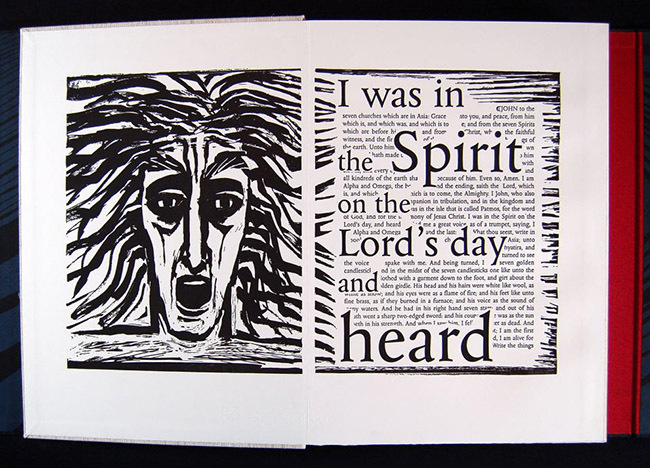 Edition of 150 printed by Nicolas McDowall from 38 black and white drawn and collaged plates by NdA. Concertina-folded pages bound in triptych case. 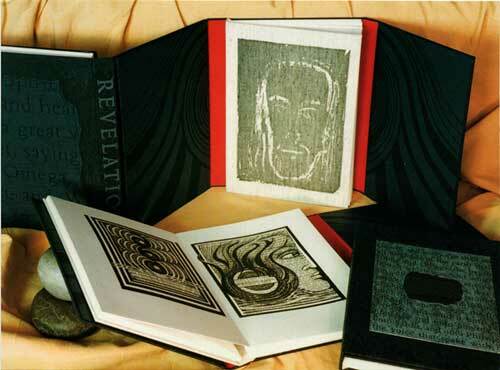 The whole text of the Book of Revelation is incorporated, sometimes concealing, sometimes repeating words or phrases. Words and images are combined, sweeping like a current throughout the book. Catchmays Court, Llandogo, Monmouthshire NP5 4TN U.K.